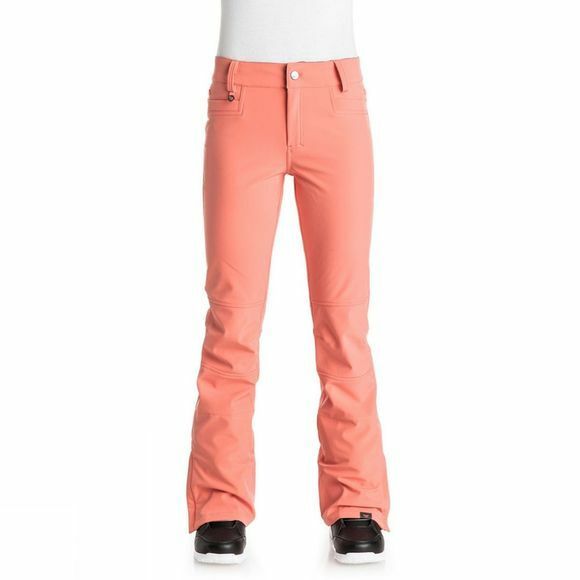 For those amazing days when what's out of bounds beckons, the superior warmth and protection of the Roxy Creek Softshell Pant lets you stretch your limits. With a skinny fit, a street wear inspired design, and the moisture blockage of DryFlight coating, your best session awaits. And since we've built in plenty of stretch comfort, there's nothing holding you back. Engineered to keep you warm, dry and protected without the risk of overheating.